So, please, as a general rule (even if your not in my blogroll but would want to join, feel free), no gámbling and pornographic sites allowed. Only blogs (monetized or not). You can submit as many blogs as you want but only one submission per blog till eternity and beyond! Why, you will be sent updates on all 20 blogs per email. OK, this is the important part. After you sign-up with Mr. Linky, please don’t forget to click on the link below to fill-up the form to send me your email (the place where you want the HTML codes mailed). HERE ARE THE PARTICIPANTS OF PROJECT EXLINKS. IF YOU ARE LISTED HERE AND HAVEN’T RECEIVED THE HTML CODE OF ALL LINKS, KINDLY CLICK THE LINK BELOW TO EMAIL US YOUR EMAIL INFO. NOTE: You email address will be kept confidential and will not be sold to any third party. Pinay Mommy support bloggers not spammers. 5. Barefooted Me – COMPLETE – freebies claimed! To all participants, please be informed that I will be deleting all links that are has no posts on their blogs. It would be very unfair to those who are active and participating. I am really sorry if your links will be deleted. I hope you understand. Let’s do this project fair and square for everybody. For those who are active, please REPORT those who have no posts on their blogs that I may contact them and follow-up. If they don’t have the posts yet after follow-up, then I will delete their links and send you again the new codes. Thank you very much. As your project host, I wanted everything to be easy and accessible for all participants. So, if you haven’t received any email for codes from me. You can now download all the latest codes here. But I still suggest, that you send me an emails so that you will be updated regularly everytime there are new things to share. Especially I am planning to have a contest for everybody soon. Anyway, if you want to send me an email manually regarding Project Exlinks, please do send it at exlinks [[at]] pinaymommyonline [[dot]] com. This is our latest update as of this day. If you noticed some of the old links has been updated and deleted. Just as I said, I will be deleting deadlinks and non personal blogs. Codes of these updated batches is readily available by email request. By the way, if the word “COMPLETE” is beside your name or url, then lucky you! Your entitled to avail of my 100 30-seconder advertising and 50 entrecard credits, all for FREE!! Well, it’s not that big but it is a simple thank you that I can impart to all active and thankful participants. So, to get the 50ec credits and claim your 100 30-seconder advertising, please send me a message in my EntreCard Inbox for easier sending. 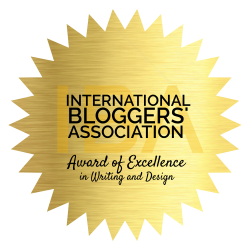 For those who have more than 1 blogs, please nominate one only. Thanks!! And for all who still want to avail of my freebies, it is still open to all participants until April 15, 2008 7:00pm (+8GMT). So, please complete your posts from Batch 1 to 4 and get all the freebies!! Please leave a comment here for those who have updated their posts already so that I could edit the links. And just a little reminder, those who have no complete post until April 15, 2008 will be deleted permanently from the links. I am really SORRY to do this but it would really be unfair to those who joined the project. Finally I have finished blog hopping and checking all blogs after the follow-up I made last time. So, the ones listed above is final. So for those who have their names with COMPLETE at the side, please send me a message at my EntreCard Inbox by clicking here. So that I will know where to send the 50 EntreCard credits. Now, before I advertise your blog. I need you to install a site tracker to see if you are really getting 100 hits from the advertiser I am paying to advertise your blog. So get one here at HiStats. They have the most comprehensive way of tracking visitors of your blog. 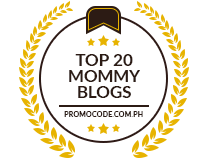 Once you have it installed, please send me an email at exlinks(at)pinaymommyonline(dot)com so that I could start advertising the blog your have chosen and installed a tracker with. Again…congratulations to all complete posters. I will be sending the next Batch after checking them. Thanks!!! Claim your freebies now!!! P.S. To get the new codes, you can send me an email or just copy it from here. Thanks!!! PROJECT EXLINKS IS ALREADY CLOSED. IF YOU HAVE, LINKED FOR BATCH 5, PLEASE JOIN OUR NEW PROJECTS. added this blog in my BLOGROLL girl. Hello! I joined the project na…thanks! Thanks for this LinkLove. I will add you to my blogrolls shortly. This is cool. Please send the HTML code to tips7tricks [[at]] gmail [[dot]]com. You got a great looking blog too! I am still figuring out how u put the image(link image)? hi rubs..i’m back. i havn’t found any cbox on you homepage mao diretso nalang ko diri…slamat kaau sa pag-agi sa akong page..i tried to look for the tag coz i’m thinkin’ of posting it even if it’s quite late for me to do it… i miss you here..hope to hear from u again soon..TC! great job pinay mommy! I have added my link to ex-links. Check out the updates on my blog as well! hello, i joined the project. thanks for this project. it’s posted on my blog now and you are added too. posted already the codes yesterday to my 3 blogs below…great job sanagay..keep it up..more power!! See you and thanks for the project! yeah, I just posted it. 🙂 love the way you made it. I already posted Project Exlinks in my blog. Thanks! would you mind sending me the code through my email? I subscribed to your blog using my Google reader.. Anyway, good luck to blogging.. It seems that you enjoy it..
hi there! !…posted the complete list in my blog already!! I was surprised to see the NO POST status beside my blog name. I thought you already took note of my Project Exlinks posts for all batches. You even left a comment there last April 3 on my Batch 4 post. hello guys! thanks for participating in project exlinks. batch 5 will be posted after april 15, 2008. please do wait. thanks!! thanks again. sorry for the typo error. i will correct it. This is an excellent idea! I’m looking forward to meeting and greeting everyone! Thanks for updating my status. Have a great Sunday! Thanks for the EC credits and free advertising that you sent me for completing the Project Exlinks post! I hope others will claim theirs as well and actively participate in the project. Hi, your blog is lovely..I was visiting my friend’s blog where I saw your blog’s link and came here..Great design..
hi! i want to join … but can’t seem to enter my blog at your mr. linky. many thanks, and happy weekend! hello all guys!! thanks for participating. by the way, i think the linky is not working, so please leave a comment and i will try to add it manually. thanks very much!! God bless you all. muah!! Hello Mommy Ruby! I checked my website today and oh my gosh! I couldn’t believe of how much my unique visitors came up today it is about 135 UV not 100 as you have said, though! It is more than I thought, which made me so happy!! Thank so much for the advertising credits, it is very awesome! I am so glad to be a part of a project exlinks!!! hello! added my blog to project ex-links. i’m fairly new to blogging and hope to take advantage of this wonderful project of yours. =) and yeah, the link to mr. linky’s blog doesn’t seem to work. oh, i’m a young working pinay mommy, by the way. Hello there! I would love to join Project Exlinks. Are you still accepting applicants? Wah, I envy your pagerank! hahaha. How long did it take before you reached that? help me include my blog because i can’t seems to press the enter key. It just did not respond.